This mail art call has ended. All works are documented in our online gallery. Your art has to fit into a box of 85 x 55 x 20 mm, the size of a normal box of cigarettes. It does not necessarily have to be mailed in a box. As long as we can somehow fold, shrink, compress, deflate or teleport your work into a box of cigarettes, we are good. 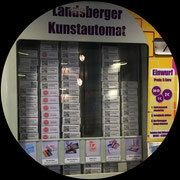 For technical reasons, art works that go into the art vending machine "Kunstautomat" will be re-packaged into neutral boxes. Standard mail art rules apply: No fees, no jury, no returns. 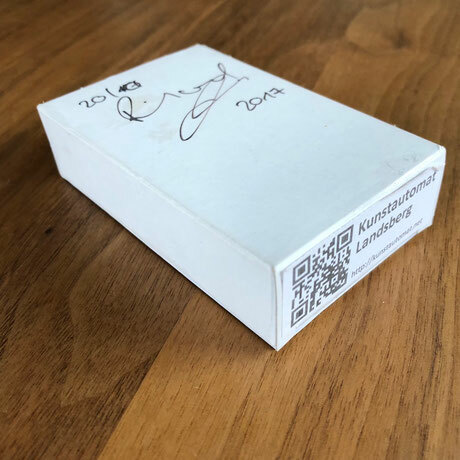 Your mail art has to fit into a standard size box of cigarettes, 85 x 55 x 20 mm.